Look fashionable by wearing this kurta presented to you by Stop. It flaunts a print pattern and comes with a mandarin neck that renders it fashionable. Besides, it comes with three quarter sleeves that accentuate the overall design. Besides, it has been made of a good quality fabric that ensures day long comfort. 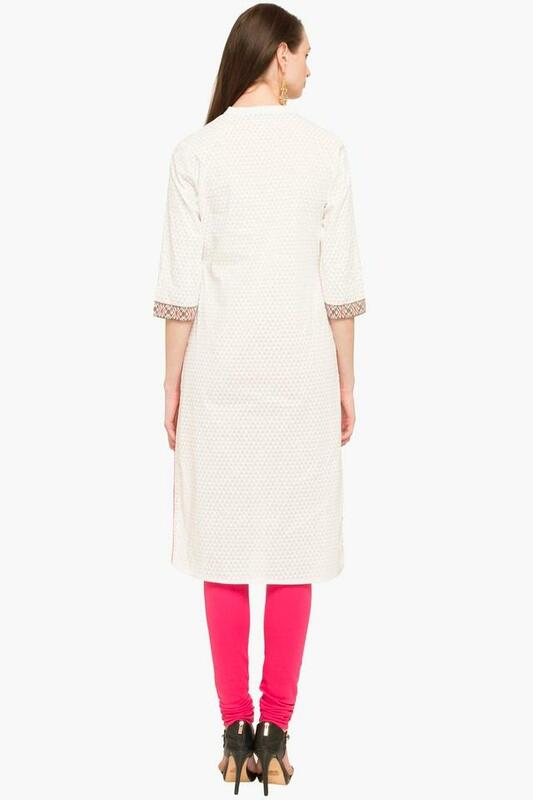 Indulge in some serious styling by wearing this kurta on any casual day out with friends. It can be teamed with a wide range of leggings and flat sandals for a chic look.